Unlike the TO-8, TOSA, or butterfly packages, the laser chip of C-mount laser is exposed without protection to the chip or its bond wires. User should be knowledgeable in the handling and mounting of this type package. 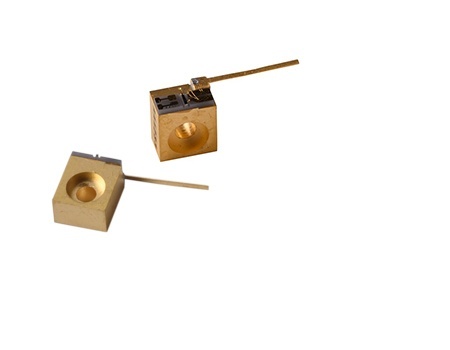 The C-mount is highly desired when other optical components need to be in very close proximity to the front facet. Even though the C-mount is a very good heat sink and conductor heat, additional cooling will be required for best operation. The beam characteristics are similar to the TO-8 and the TOSA package with exception to the window interface. 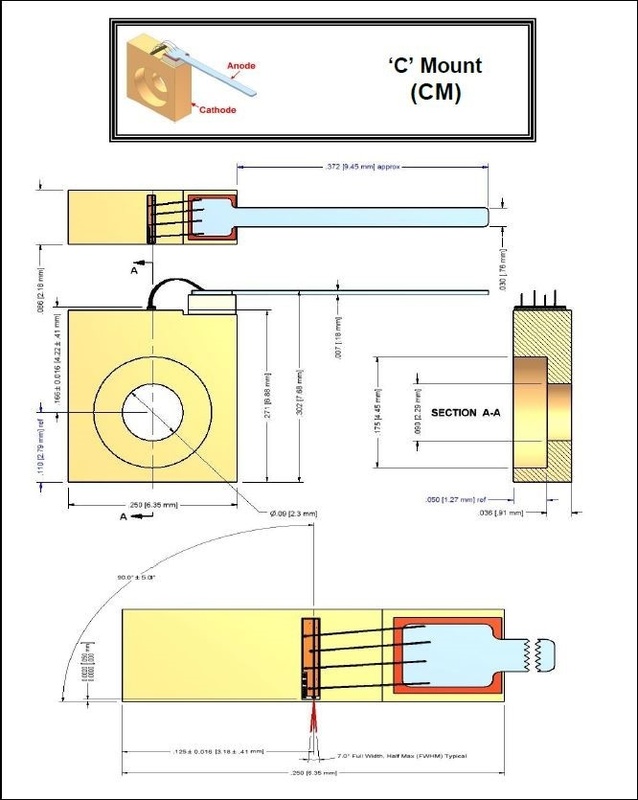 The single lead of the C-mount is connected to the anode of the laser diode. The cathode contact is made via the screw through the heat sink block.